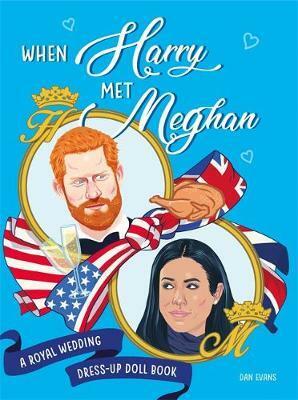 When Britain's most lovable prince met America's most beautiful legal-drama actress, a fairytale came to life. Re-enact this captivating love story in the comfort of your own home with these handy royal paper dolls. * Say "yes" to the dress as Meghan tries on stylish wedding gowns. * Enjoy a royal Christmas as the couple kick back in an elf suit and a reindeer onesie. * Relive that intimate marriage proposal, accessorised with a Union-Jack apron and a roast chicken. * Join the prince at his imaginary Las Vegas Bachelor Party complete with speedos, cocktails and an inflatable unicorn. * Help America's finest Hollywood export into her incognito anti-paparazzi outfit (hat, sunglasses, handbag as shield).